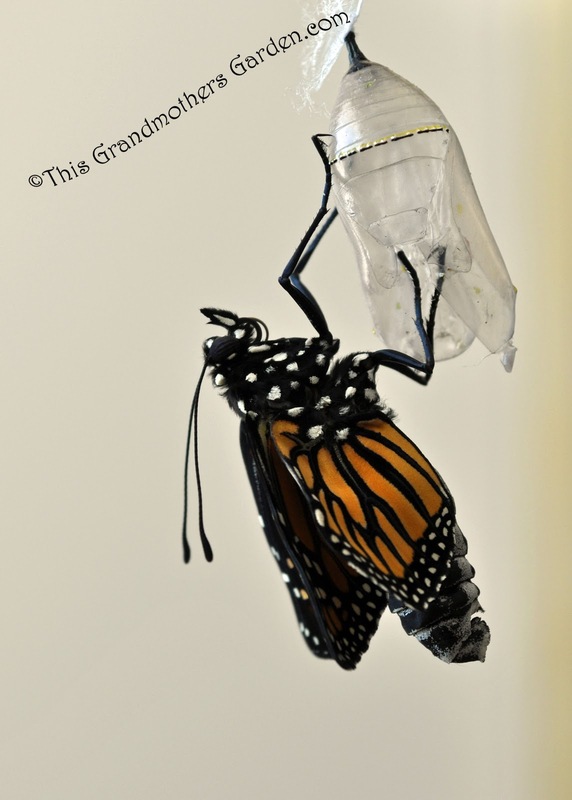 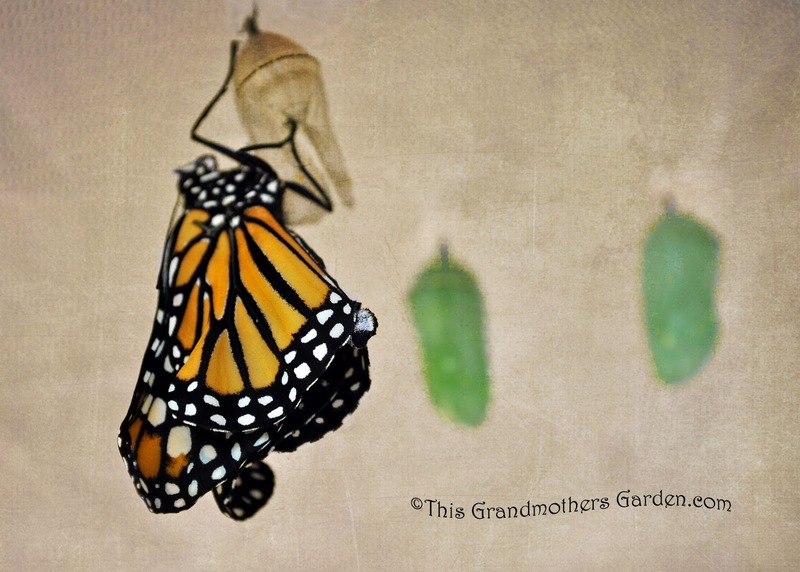 This Grandmother's Garden: Butterfly Dreams Part 5... A Monarch is Born! 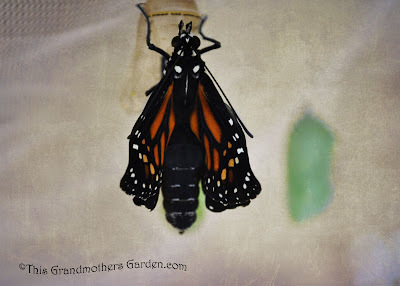 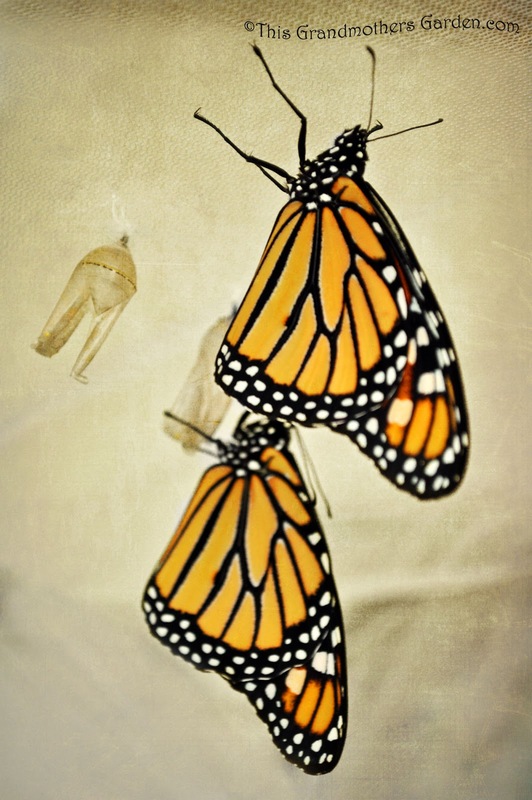 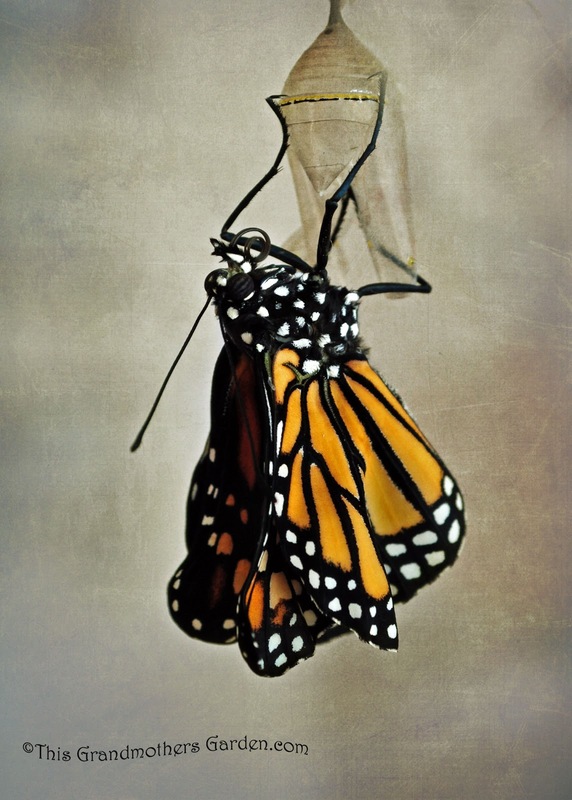 Butterfly Dreams Part 5... A Monarch is Born! Undeniably a Miracle... how else can this be explained? he begins to stretch and expand. How did he ever fit inside that tiny Chrysalis! 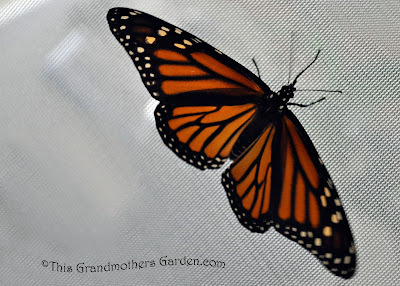 chubby body becomes long and lean. 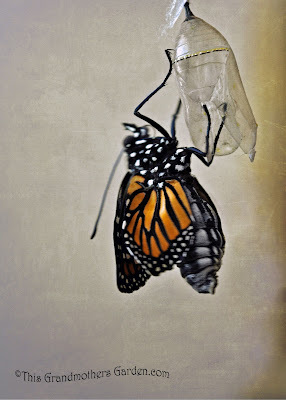 until he is ready to test drive his new wings. 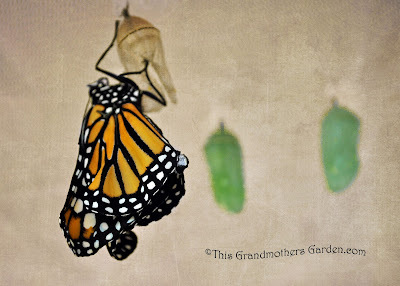 The final post in this series of Butterfly Dreams will be posted Saturday. 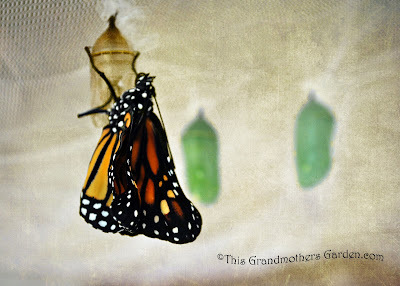 gorgeous photos thanks for sharing them. 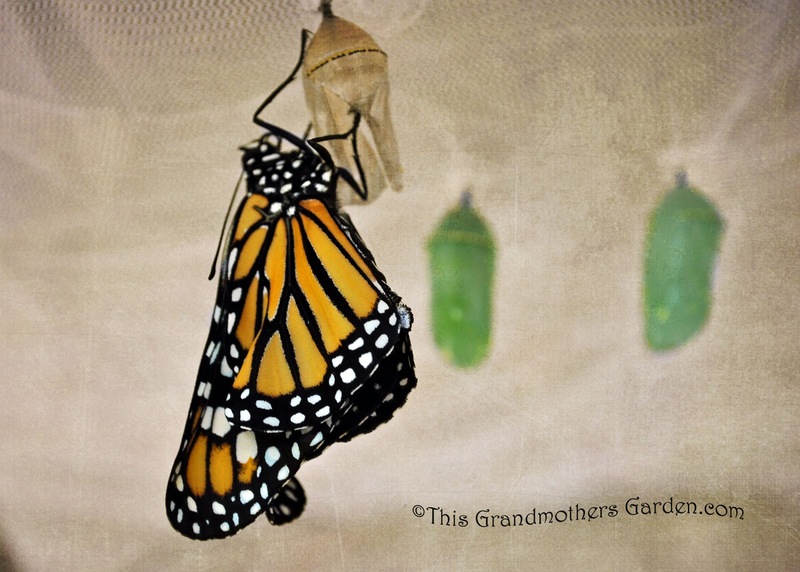 Wow - the fact that you captured this amazing transformation is incredible to me! I never realized how much their wings expanded. 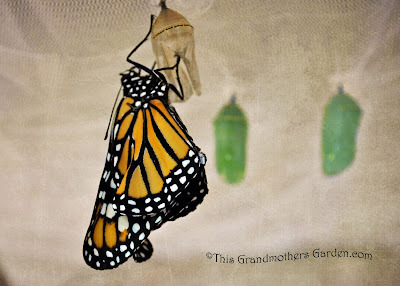 What a great lesson. 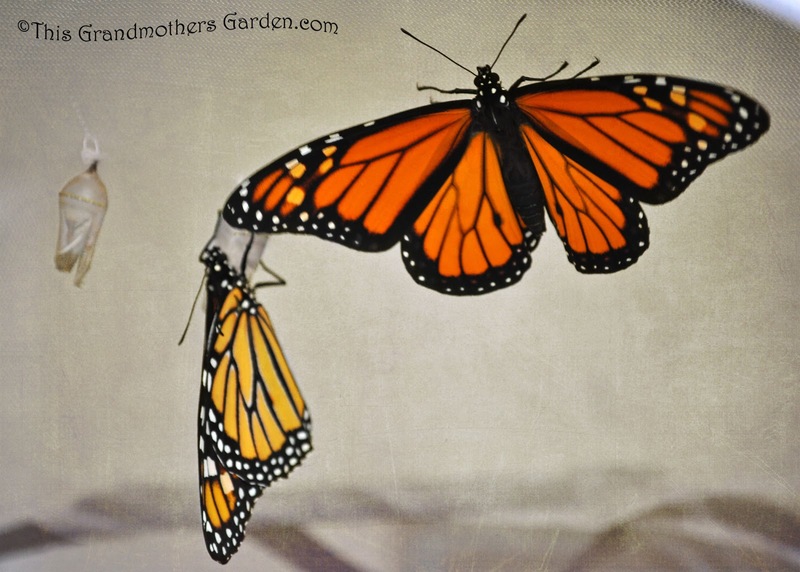 I've never seen a butterfly being born! I'm already amazed, what fantastic photos, congratulations! 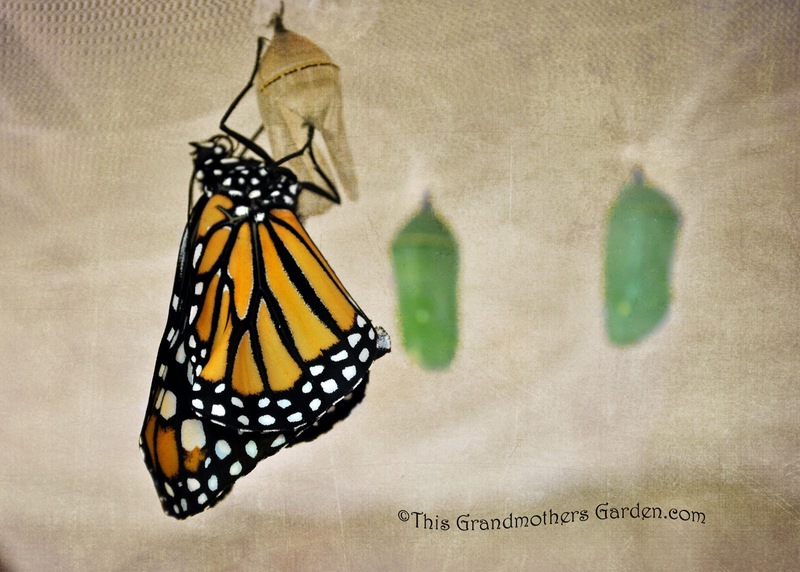 What a beautiful sight seeing them emerge. 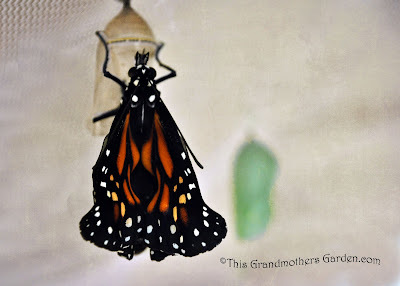 Such a great capture too, Carolyn.